On a private walking tour of the Pompeii ruins, breeze past long entrance queues with a pre-reserved admission ticket. In addition to navigating the site for you, your guide provides little-known facts about the ruins, many of which are unmarked and need context. 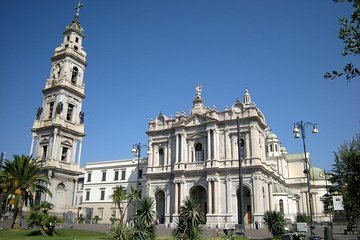 The day’s itinerary also includes a visit to the Holy Rosary Sanctuary and Bell Tower (admission included) with panoramic views of the city and Mount Vesuvius.